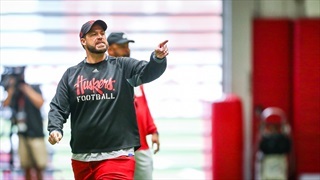 Nebraska's Defensive Coordinator Erik Chinander met with the media at the conclusion of Wednesday's practice. Check it out. 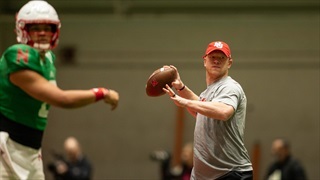 Coach Scott Frost is ready to play some football. 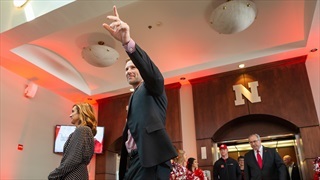 While he doesn’t have the specifics on the format for Saturday’s Red-White Spring Game, Frost does have an idea of what fans can expect to see. "Position-less" is the buzzword when it comes to defense these days. 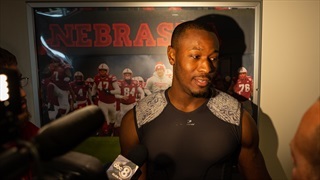 At Nebraska, it's more of a necessity than strategy this spring. 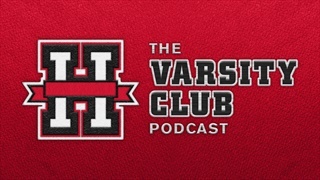 It’s Friday and love/hate is back after a brief hiatus. Let’s get to it, except don’t be expecting any hate this week. It was a good week for the Huskers. A real good week. Alex Davis is something of a paradox. As a redshirt senior, he’s a grizzled veteran on a football team full of youth. Davis is 23 years old now, but in terms of football experience, he’s younger than even some of the underclassmen on the roster. 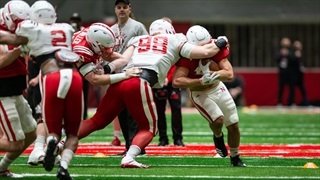 On Monday the defense had its day at Nebraska's practice. Wednesday? It was the offense's turn. 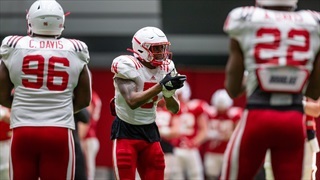 Nebraska had its 11th practice of the spring on Wednesday. At the conclusion of practice, Erik Chinander spoke with the media about the improvements and challenges on the defensive side of the ball. 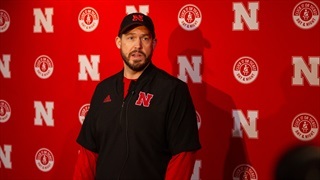 After Coach Scott Frost spoke to the media Wednesday, defensive coordinator Erik Chinander was up next at the podium. 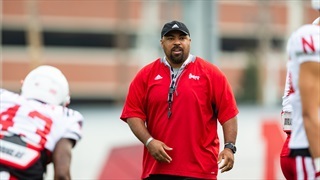 Nebraska's new defensive line coach for 2019 is its third new defensive line coach in as many years. 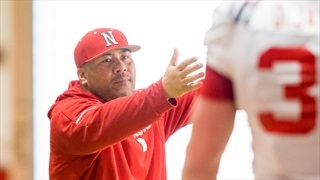 But Tony Tuioti doesn't need to learn this Husker defense in order to teach it. Turns out that's kind of important. 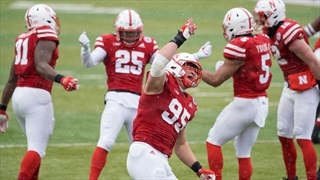 "When you're good up front, it helps everybody," Nebraska DC Erik Chinander said. 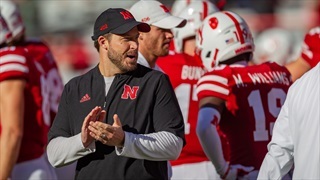 The Huskers could have the pieces to be that in 2019. With a year in the program under his belt, junior safety Deontai Williams said he is "10 times better" than he was last year and is looking to make a name for himself this spring as defensive backs coach Travis Fisher has to find replacements for three seniors in the defensive backfield. 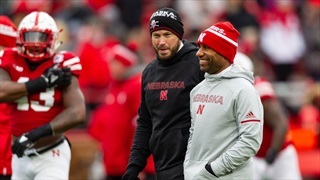 Nebraska outside linebackers coach Jovan Dewitt finds some solace on the football field as he undergoes cancer treatment this spring. It’s only Week 2 of spring ball for Nebraska, but there appears to be a lot to like about the growth of the defense so far. Just ask defensive coordinator Erik Chinander. Nebraska defensive coordinator Erik Chinander met with the media following Wednesday’s practice for the Huskers. Chinander said the defense was disruptive on Wednesday and getting after the quarterback. 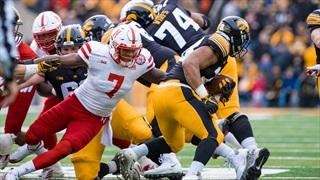 How Good Can Nebraska's Defense Be in 2019? 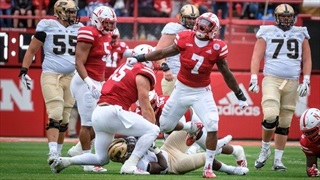 Nebraska appears poised to improve on offense, but what about defense? Here's how the most-improved defenses of the past five years did it. 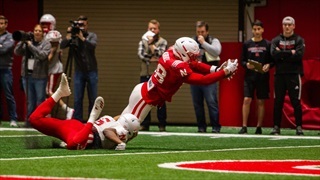 As Nebraska prepares to return to the practice field, Derek Peterson looks at some key questions facing the Huskers' defense this spring. 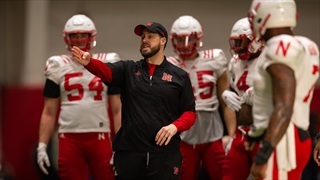 One of Nebraska football assistants may be headed to the NFL, but the other nine — as well as head strength and conditiong coach Zach Duval — have signed their contract extensions with the university. Iowa played the odds and forced Nebraska's defense to make some winning plays. That move paid off for the Hawkeyes this time around, but the Blackshirts feel confident that won't be the case moving forward.